It’s seems as though the toothpaste aisle is getting bigger and bigger with more and more toothpaste options. This is not a bad thing, but it can definitely make deciding on which toothpaste to buy, a lot more difficult. 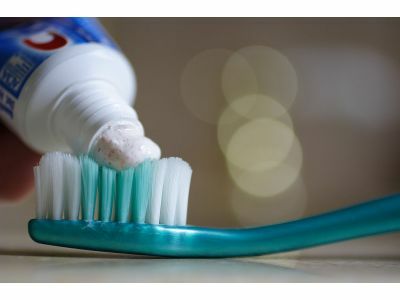 In this post we will go over the common types of toothpaste and what you should be looking for. Fluoride is extremely important and has helped dramatically reduce tooth decay over the past 50 years. Fluoride protects the enamel of your teeth from naturally occurring acid in your body. It’s important to use fluoride toothpaste even if you have fluoride added to your tap water. Studies show it makes a big difference. Fortunately, most tartar control toothpastes contain fluoride, as well. The layer of bacteria on your teeth is called plaque. If plaque is not removed in a timely manner it will turn into tartar, which is extremely hard to remove and leads to gum disease. Many people have teeth that are sensitive to hot or cold temperatures. Toothpaste that is made for sensitive teeth is usually made with potassium nitrate or strontium chloride. These compounds work by blocking pathways in the teeth that are attached to the nerves. It can take up to a month of using this toothpaste to start feeling relief. Almost no whitening toothpastes contain bleach. Instead, they’re made of abrasive particles or chemicals that polish teeth and remove stains. Fortunately, studies have shown that whitening toothpaste for tooth whitening is not any rougher on your teeth than most other toothpaste varieties. We offer teeth whitening in Battle Creek at our office. No matter what, make sure the toothpaste you choose is approved by the American Dental Association (ADA). This means they have been evaluated and tested for safety and effectiveness by scientists. At Halonen Family Dentistry, we have been serving the greater Battle Creek area for almost 40 years. We go above and beyond what’s expected to make sure we have open communication with our patients. Education and prevention should be hallmarks of any family dentistry office. Call us or stop in today, we look forward to meeting you!